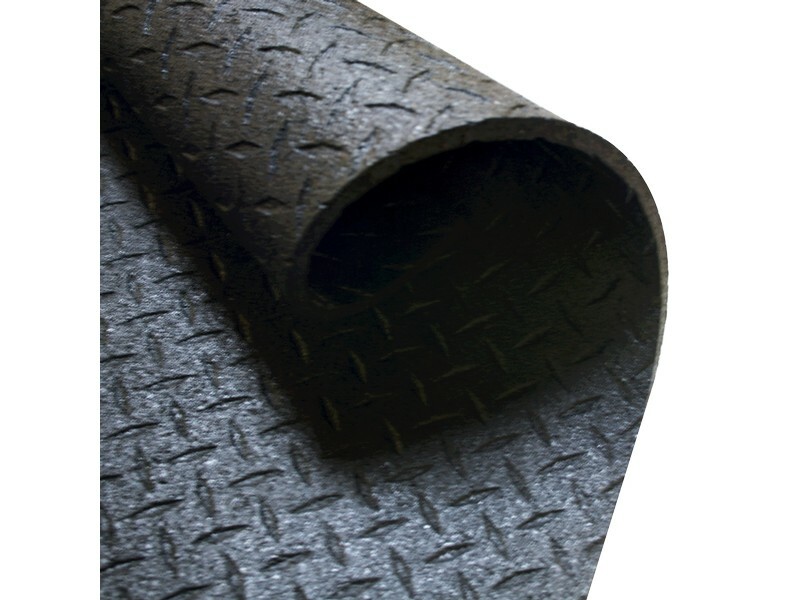 > Equipment>Lifting Platforms>Rubber Mat 4' x 6' x 1/2"
Rubber Mat 4' x 6' x 1/2"
A heavy duty 68lb 4'x6' floor mat meant for home gyms. Its 1/2" thickness is suitable for most environments and will absorb the impact of occasional dropped weights. Inverted diamond pattern on both surfaces.